The agreement on pricing last month marks a significant step towards promoting energy security in the region, say Nisha Taneja & Samridhi Bimal. Against pessimism that had set in following the cancellation of the talks between the Foreign Secretaries of India and Pakistan to resume the stalled dialogue on normalising India-Pakistan trade, the recently concluded agreement on the gas-pricing formula for export of natural gas from India to Pakistan has given a much-needed fillip to trade relations between the two countries. The agreement comes as a breakthrough in the two-year long negotiation between the two state-run gas utilities, India’s Gas Authority of India Ltd (GAIL) and Pakistan’s Inter State Gas Systems (ISGS). The proposal was for GAIL to supply five million metric standard cubic metres a day (mmscmd) of lean gas to Pakistan for five years. GAIL will source liquefied natural gas (LNG) from international suppliers (largely West Asia), which will then be re-gasified at the LNG terminal at Dahej in Gujarat, for supply to Pakistan. GAIL will lay a 110-km pipeline from Jalandhar to the Amritsar-Attari border, while Pakistan will build another 30 km of pipelines. The agreement provides India and Pakistan an opportunity to join hands to achieve operational excellence in creating an LNG global supply chain cutting across the gas value chain, from international transit and downstream infrastructure (gas lines and storage). Technical working groups were set up to discuss and finalise the details of this trade and, finally, the technical feasibility of laying the gas line up to Lahore was drawn out after five rounds of negotiations between both sides. The only unsettled issue was the price at which Pakistan would buy gas from India. 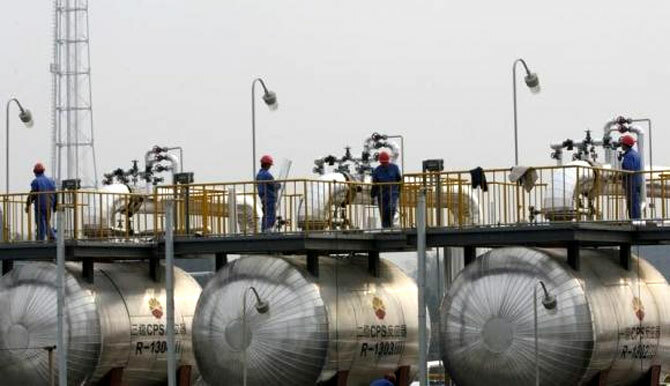 Finally, last month the two sides agreed on a gas-pricing formula for gas export from India. The significance of this milestone needs to be understood in a much larger context of the 1,680 km-long Turkmenistan-Afghanistan-Pakistan-India (TAPI) gas pipeline project. When fully implemented, the TAPI pipeline project will originate at the Yolotan Osman fields in Turkmenistan, from where gas will transit through Herat and Kandahar in Afghanistan, before passing through Quetta in Pakistan. It will make its final halt in Fazilka, in Indian Punjab. The Asian Development Bank is playing a key advisory and facilitating role to help kick-start the project. While all mega-energy projects contain an element of risk, the TAPI pipeline stands at the top of the list, as the two transit countries, Afghanistan and Pakistan, are both battling indigenous insurgencies. There are concerns that the security situation will be even more unstable once the scheduled withdrawal of most US troops from Afghanistan is completed by December this year. 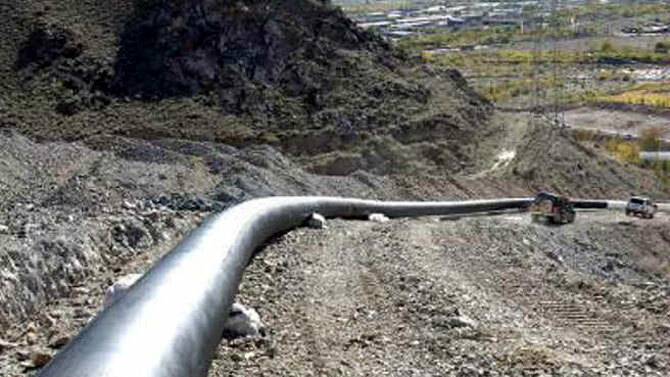 With regard to the TAPI pipeline, Afghanistan sees it as a significant revenue stream as well as a source of energy as the country builds its economy. Afghan authorities have promised to deploy 5,000 to 7,000 security personnel to safeguard the route. Moreover, the US is backing the TAPI pipeline as part of its larger geopolitical strategy of linking Central Asia to South Asia. The project is a key foundation for the New Silk Road initiative announced by then-Secretary of State Hillary Clinton in India in July 2011. It is with respect to the pipeline transit through Pakistan that Indian concerns have been greater. In this context, the key point to be noted is that Pakistan itself is battling an acute energy crisis. According to some estimates, energy shortages have cost the country up to four per cent of gross domestic product over the past few years. They have also forced the closure of hundreds of factories, paralysed production and exacerbated unemployment. Last year, Pakistan’s minister for water and power warned that the energy crisis has become a national security issue. In this context, the implementation of the GAIL-ISGS deal is the first step in generating interdependence between India and Pakistan in the energy sector. In a sense it is, therefore, an important safeguard against the disruption of gas supply via the TAPI pipeline to India. The next step in this direction would be electricity trading between the two countries. In a still wider context, the seeds for transit have been sown. The successful operation of this bilateral gas pipeline will serve as a significant confidence building measure and will lay the ground for a transit agreement for movement of goods across countries and regions. This clearly falls in line with the prime minister’s vision of reconnecting Asia for its shared prosperity. What it <i>really</i> takes to stay on top!